Nearly five years ago, KFC tried to rejuvenate interest in its menu by going the extreme-food route with the Double Down, a bacon and cheese sandwich with two pieces of fried chicken for the bun. 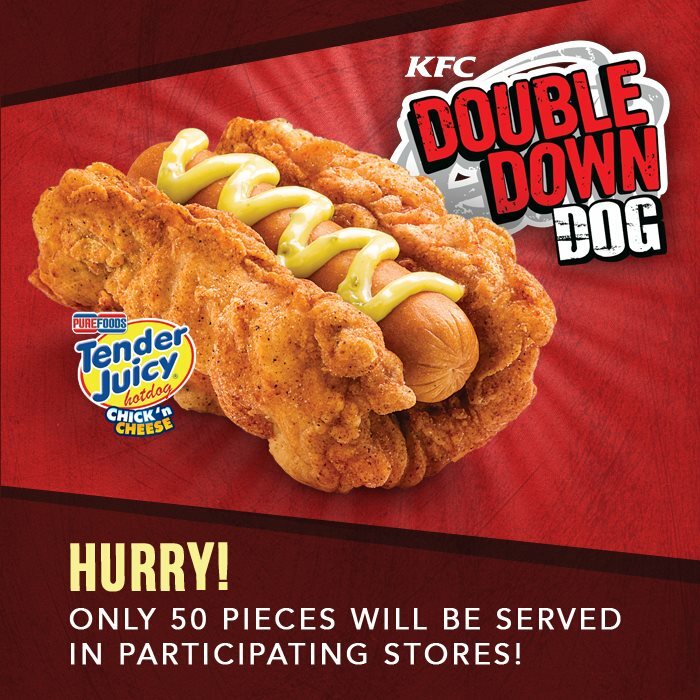 Now the fast foodery is trying to push a hot dog version of the Double Down on its customers in the Philippines, and the results leave a lot to be desired. Since it’s a hot dog, the idea is that, rather than use two pieces of fried chicken as a bun, you just use one bun-shaped piece of fried chicken and slap a wiener in there.